Guests aboard Royal Caribbean's Harmony of the Seas have reported that the highly-anticipated chat feature of Royal Caribbean's new smart phone app have been activated. 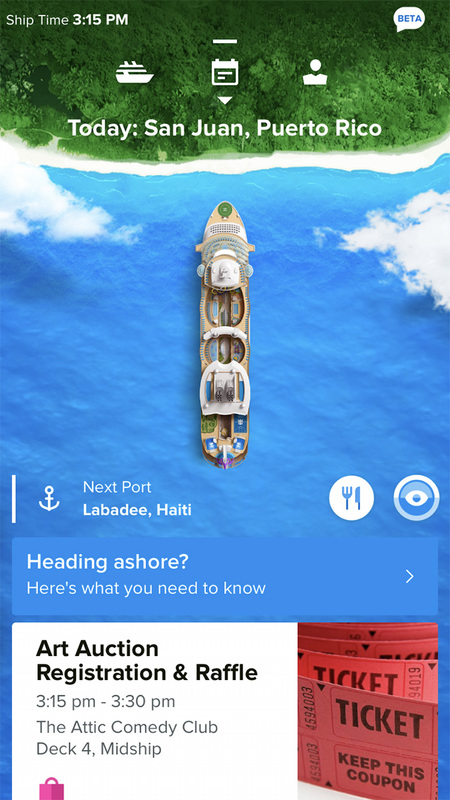 Royal Caribbean Blog reader Marshall Stewart sent us a screenshot of Royal Caribbean's app while onboard Harmony of the Seas and noted that the app has enabled the chat feature, as well as the X-Ray vision app. The features were activated during their sailing while the ship was visiting San Juan, Puerto Rico. The chat feature allows guest-to-guest chat on Harmony of the Seas. Guests may link to other staterooms and chat with friends and family for free. Previously, Royal Caribbean had been testing the chat feature exclusively on Allure of the Seas.